Many parents and educators want more male professionals in day-care centres and kindergartens – however, men have greater difficulty to get into daycare centers in permanent employment. This is the result of a new study of the Delta-Institute for Social – ecological research. Men in primary schools put up with unfair comments about their health, appearance and career progress, says this teacher. Being a male primary teacher can sometimes be lonely. Around one in 10 primary teachers are male and at times you can find yourself as the only man in the staff room, perhaps even the first male teacher in that school, ever. That being the case, I’m pleased to say that most of the time gender is not ultimately a factor and you don't think about it – you just crack on, doing your job the best you can. 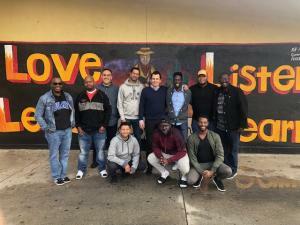 California State University, Northridge has partnered with the University of California, Berkeley and the Compton Unified School District (CUSD) to launch a three-year pilot program to improve the retention rates of male teachers of color. A monthly newsletter about male teachers. My personal story is unavoidably intertwined with my being a part of a faith community. As an Evangelical Christian much of life is seen as the outworking of a God who has a specific purpose for each of us. Our job is to observe the gifts and passions he has placed in us and watch for the open doors that come our way, and then to courageously walk through these doors believing that we can do anything. All this helps to understand how a Mennonite farm kid from the prairies of Canada could possibly end up in Early Childhood.